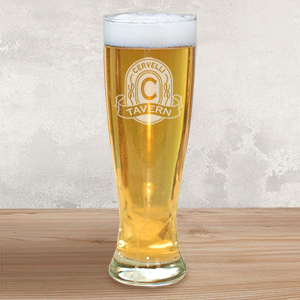 Regardless of what you put in them, pilsner glasses are perfect for every bar and kitchen. And, every time you take a gulp from one of our personalized pilsner glasses, you’ll enjoy the sensation of personalized refreshment. Give your friends or family members the item they didn’t know they needed with a personalized pilsner glass from GiftsForYouNow.com. 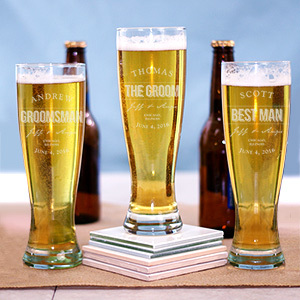 Purchase a set with the same engraving, or mix and match for more flair. They’ll enjoy sharing good times with guests with a fun item for their family kitchen. 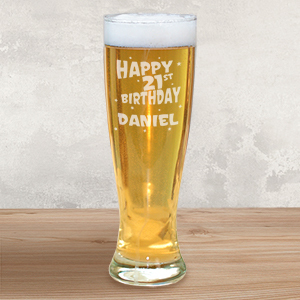 A plain old pilsner is fine, but a personalized pilsner glass is perfect—especially if you’re looking for a gift for the person who has everything. 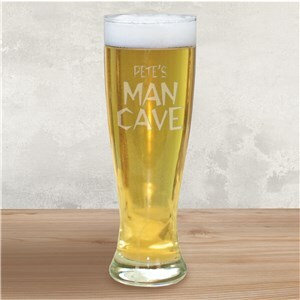 Show your dad, best friend, or someone else how much you care by getting a personalized pilsner glass for a special occasion... or, make any occasion special by adding a little more to the celebration. Our lovely etching options are sure to please and bring a smile to someone’s face. 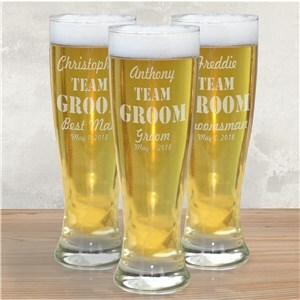 Whether you want them for your own bar or you know they’ll be perfect for someone else, GiftsForYouNow.com has your glassware needs covered. Pair it with another personalized item—like a growler or a bar sign—for maximum effect.